Sofia, diagnosed with Trisomy 21, learned to read, write and speak with the Doman Method. She now enjoys school with her peers. Trisomy 21, also known as Down Syndrome, is a genetic disorder. While Trisomy 21 is a genetic abnormality, it results in neurodevelopmental deficits. Many of the developmental delays and symptoms that individuals with Trisomy 21 have are a result of poor neurodevelopment. If the development and function of their brain improves, the symptoms can greatly reduce. For children diagnosed with Trisomy 21, often the neurodevelopmental symptoms they exhibit include poor speech development, hypotonia, sensory issues, cognitive delays, delayed motor development, poor coordination and depth perception. 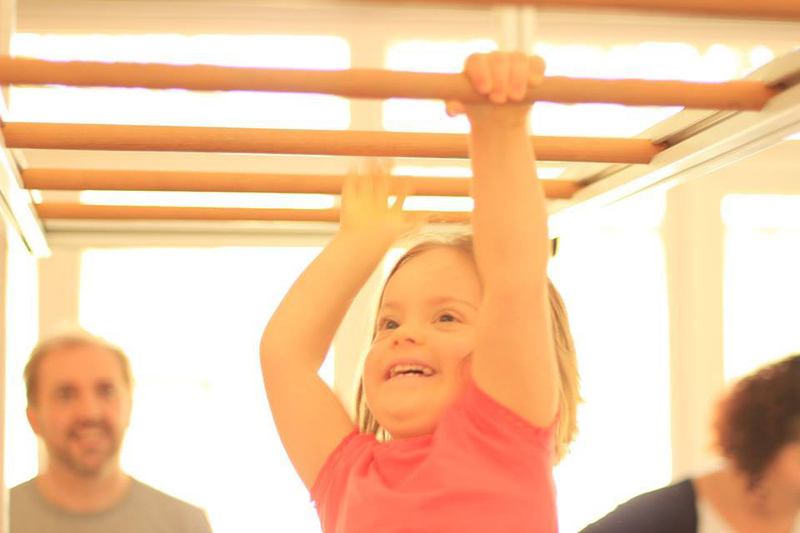 People diagnosed with Down Syndrome have shown great potential for improvement with a home-based program of stimulation and activity that improves brain development. The human brain is able to change and rewire — this process is called neuroplasticity. The Doman Method program has been designed to help the brain develop through specifically designed activities. Nearly all children improve on a home program, and their symptoms reduce, or at times, disappear. Some children with Trisomy 21 graduate from the Doman International program and join their well peers in school. Our goal for each and every child is wellness — well enough to function like every one else, and succeed and be happy in life. While this is an incredibly challenging goal to achieve, our main objective is excellent results. If you have a child or loved one diagnosed with Trisomy 21, you can begin a Doman Method program by attending our parent training seminar called: “The Doman Method Course: From Special Needs to Wellness”. This three day seminar teaches parents how to do a treatment program designed for maximum progress in cognitive, motor and speech development, as well as improved behavior, health and physiology. To see upcoming course dates, you can click here. You can join the many thousands of other families who have learned about the Doman Method and started helping their loved one with Trisomy 21. Should you have any questions about how we can help your family, you can contact Doman International worldwide representatives here.